Offer valid subject to availability in participating hotels. Offer valid for bookings made between 24th November 2017 and 27th November 2017 for stays dated from 15th December 2017 to 18th February 2018. The cost of the entire stay will be debited at the time of booking. Rate cannot be modified, cancelled or refunded. Prices for South American hotels except Brazil: 40% off. The discount is applied to the best unrestricted rate. The Black Friday offer “Germany, Austria and Sweden: 3 = 2” offer is valid for bookings made from 24th November 2017 to 27th November 2017 for stays from 17th December 2017 to 7th January 2018. The offer can only be booked on AccorHotels.com, Sofitel.com, Pullmanhotels.com, Novotel.com, Mercure.com, ibis.com and HotelF1.com. The discount applies for bookings of three consecutive nights, valid on weekdays and weekends. The free night is calculated by applying a 33.33% reduction per night – based on the flexible rate for the dates requested upon booking – for stays of exactly three nights. The offer is valid at participating hotels of the brands ibis, ibis Styles, Mercure, Novotel, Novotel Suites, Pullman, MGallery, Sofitel and Swissôtel. For hotels in Germany only: In case of non-usage, earnings from a substitute accommodation contract, as well as saved expenses, will be deducted. Le Club AccorHotels members can earn points with this offer. 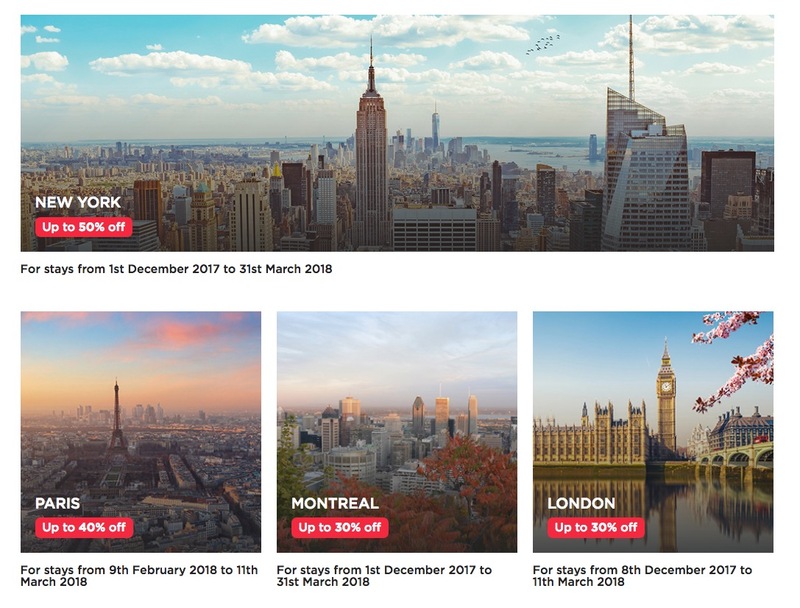 This offer can be booked from 24th November 2017 to 27th November 2017 on AccorHotels Group websites for stays from 9th February 2018 to 11th March 2018. Special discounts are based on the best unrestricted rate. Payment for the entire stay is deducted upon booking. No cancellations or changes are possible. Offer available only for Le Club AccorHotels members. Le Club AccorHotels members can accumulate points with this booking. É interessante notar que, em muitos países e cidades, os generosos descontos atingem inclusive os períodos do Natal e Reveillon, sendo, portanto, uma oportunidade para maximizar os descontos.